It’s a designs-dominated world which we live in. Thanks to the advances in technology, there is a template or vector for every object, emotion, and activity. All of them are readily available. All you need is the need of them. Let’s talk about vectors. The good thing about vectors is that they are ready to use yet customizable. Users can easily rework on the elements and personalize the vector to suit their needs. 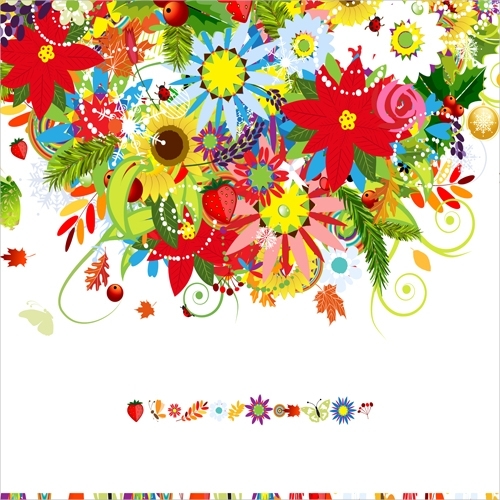 In this article, we are sharing with you some wonderful colorful flower vectors. Bi it posters, wedding cards, invitations, wallpaper décor, apparel or any other merchandise, flower vectors can put their lovely spin onto things and make them look better! 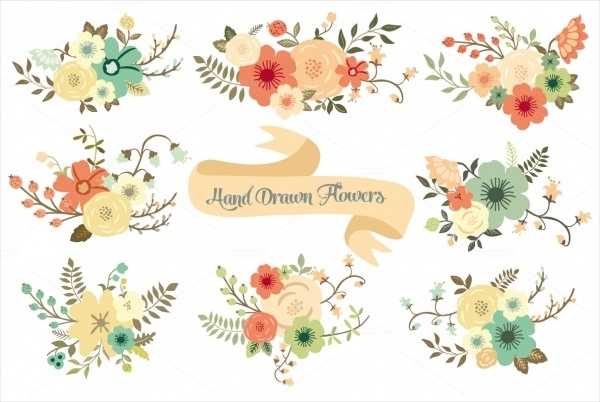 This lovely set of separate flowers in this flowers vector has an admirable appearance. Already colorful, you can further revise or edit the elements in the design and retouch on them to make them useful in your projects. 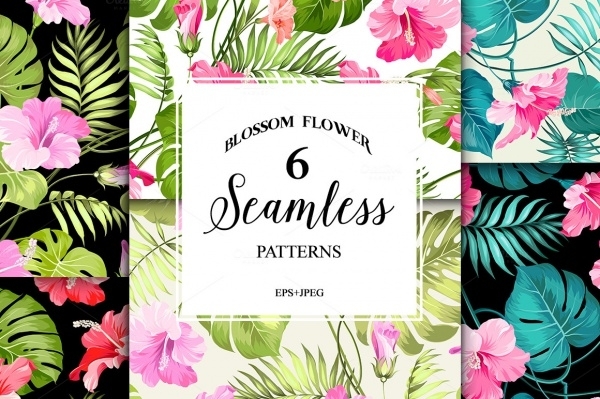 This set of tropical floral patterns is a visual delight. Work with them and add a zing to the overall look of your personal texts and create lovely banners, headers, invitations, cards etc. This set includes this vector in EPS and JPG formats. 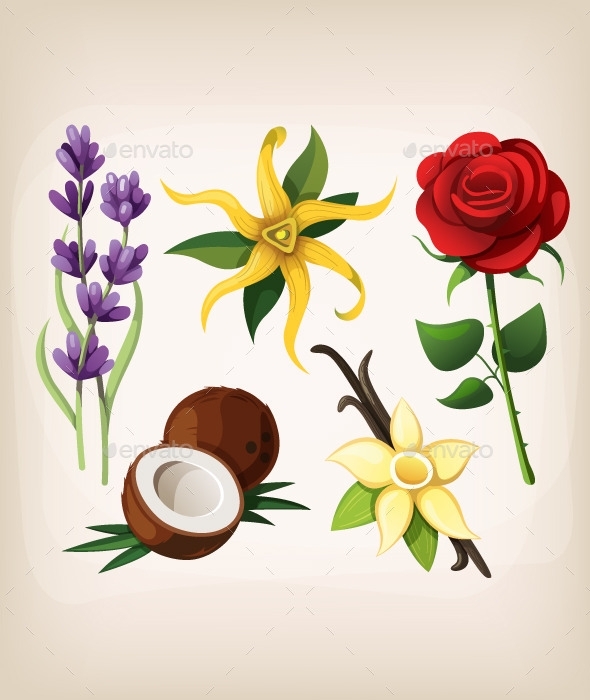 If you are looking for some out-of-the-box flower vectors then this set is a good answer. Individual flower patterns have been included in this set, all of them are high-resolution and easy to resize, and elements can be adjusted according to project needs. If hand-drawn flower designs are your thing, then you must check out this next vector we have for you here. 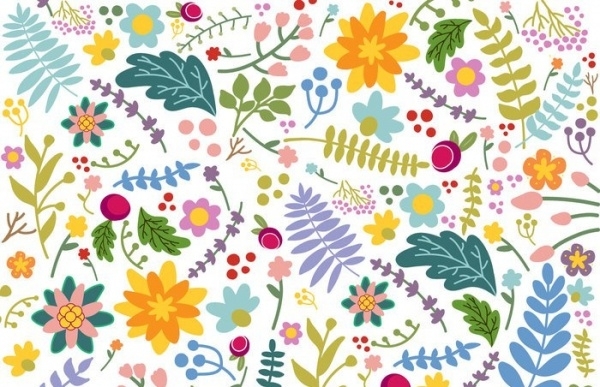 Full of myriad colorful flower designs, you could use this vector to become the background of your wallpaper, as well as it can be used as the backdrop of a website or poster. 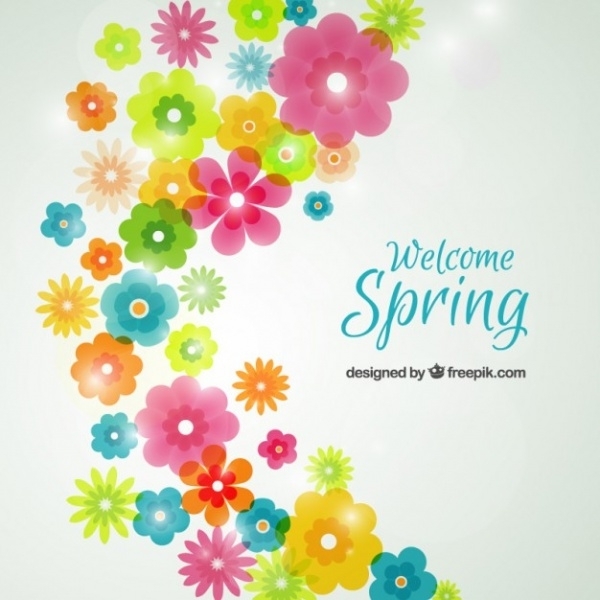 Spread the joys of the spring season by picking up this lovely spring flowers background vector. This could very well be utilized as the backdrop of a full-sized wallpaper or poster for indoor and outdoor events. Of course you can revise the design elements to make it more unique to you. If you fancy an abstract flowers design then here’s a vector which lives up to your expectation. This vector features a wonderful floral backdrop accompanied by fluorescent overlapping abstract flowers and flourish plants over a bluish background. 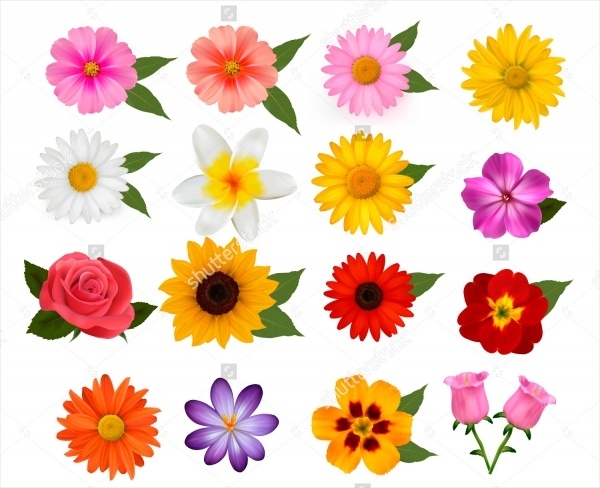 There’s something very attractive about a colorful flowers vector. Take this vector for example. It is colorful and intricate. Now how do you intend to use this is perfectly your call, but truth is the vector is multipurpose, indeed. 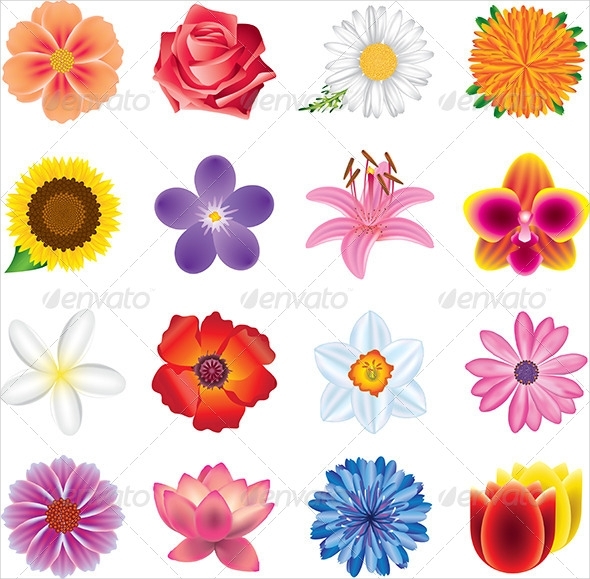 This vector set features some of the most realistic artwork as far as flower designs are concerned. This high-resolution vector set is completely editable and can be used to furnish your design projects and other endeavors. If you love hand-drawn designs and want to use them to adorn things such as wedding cards, graphic design projects, logos, scrapbooks, handicraft items etc, we recommend you take a look at this delicate, absolutely gorgeous and editable flower vector. 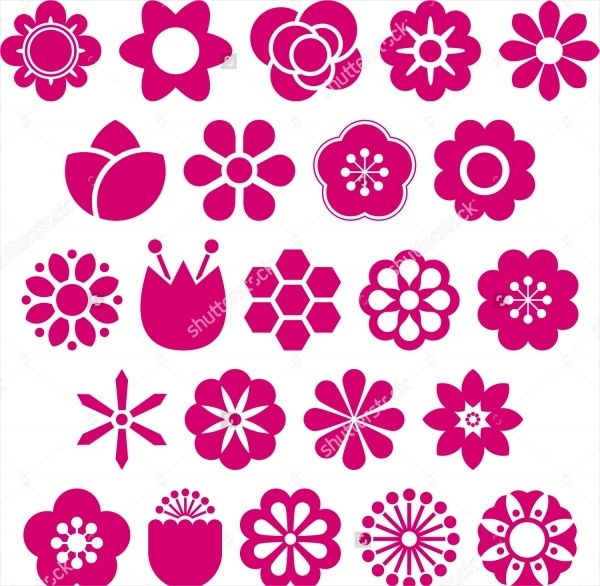 Many designs require big flower patterns and designs. This vector of big flowers fulfills the need perfectly. The vector is high-resolution and resizing is possible without comprising the quality of the image. 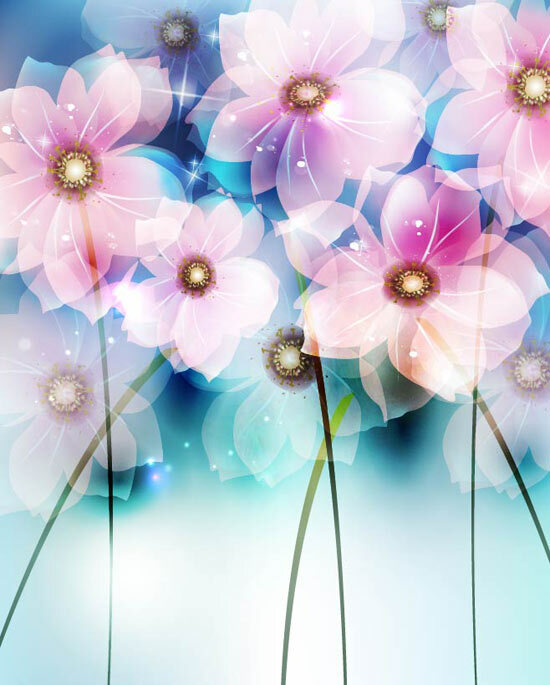 There’s no doubt that flower vectors can be utilized in designs in numerous ways. Whether you’re looking for simple or something more elegant and superlative, our collection of flower vectors addresses all kinds of needs. While all of them have unquestionable quality and artistry in them, still you can always infuse your own creative flair in these designs.